(This Is Money) – Dry conditions have worsened prospects for this summer’s wheat and barley harvests in the European Union, crop consultancy Strategie Grains said as it cut production forecasts for both cereals. That would nonetheless be 14 percent above last year’s drought-hit EU wheat harvest. For barley, expected production in 2019/20 was cut to 61.0 million tonnes from 61.8 million, still 9 percent above the 2018/19 crop. 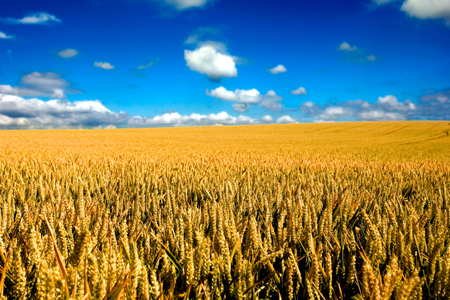 “Harvest outlooks in the EU have deteriorated somewhat due to dry weather in March and despite the arrival of rain in April (essentially in Spain and the southeast EU countries),” Strategie Grains said in its report. “But they nevertheless remain good, with much higher expected production than in 2018,” it added. A swathe of southern Europe has faced particularly dry conditions since last autumn’s sowing season. In France, the EU’s biggest grain producer, below-average rainfall in much of the country has raised concern about low moisture levels after last year’s drought and as crops enter key spring growth stages. Latest crop ratings from farming agency FranceAgriMer estimated 84 percent of French soft wheat to be in good or excellent condition by April 1, down slightly from a week earlier. For maize, Strategie Grains left its 2019/20 EU production forecast almost unchanged at 63.1 million tonnes, a 2 percent increase on 2018/19.